Synth.nu is a Swedish language web publication that covers a broad spectrum of electronic music. Founded in March 2004, synth.nu follows an ethos that covers both new and established acts. With a team of contributors, their mission statement is “We make reviews, interviews and live reviews in synth / electronic music from all over the world” be it “synth, electronica, EBM, industrial, wave, darkwave and stuff that applies”. With Sweden being the epicentre of modern electronic music, synth.nu are suitably positioned to report on what is an highly vibrant and creative scene. As kindred spirits following their passion for electronic music, it was only natural that The Electricity Club and synth.nu would eventually get together and have rather a lot to talk about. When did you start to like electronic music and become fascinated by this music genre? My very liberal and Bohemian junior school teacher played KRAFTWERK’s ‘Autobahn’ and the soundtrack of ‘A Clockwork Orange’ to us all in class and the sound of both was unusual, yet captivating. It wasn’t until later that I got into synthesizer music properly first through GARY NUMAN, then JEAN-MICHEL JARRE and OMD before moving onto ULTRAVOX, THE HUMAN LEAGUE, JAPAN, SOFT CELL, DEPECHE MODE, HEAVEN 17, JOHN FOXX and SIMPLE MINDS. As I got older, I caught up with the influential acts of the past like BRIAN ENO, ROXY MUSIC, DAVID BOWIE, TANGERINE DREAM, NEU! and LA DÜSSELDORF. 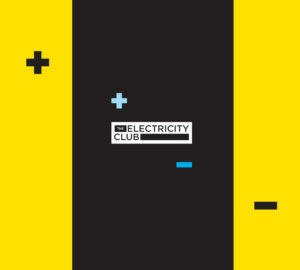 How and why did you start the electronic music website The Electricity Club back in 2010? Were there not any electronic music websites prior to that, who supported the electronic music scene in UK? The main motivation to do The Electricity Club came from my disgust at classic synthpop being lumped in with the so-called 80s revival. I’d been writing music reviews since college, progressing from student newspapers to fanzines and then online media. There were a number of websites featuring acts I liked, but many focussed on just the 80s or particular bands. And then there were others that were only about dance music or new artists exclusively… I wanted to somehow combine coverage of new and classic synth based pop, but away from dance music which to be honest, is something I generally loathe. When The Electricity Club launched in March 2010, LITTLE BOOTS, LA ROUX, LADYHAWKE and LADY GAGA had been hailed as the next big things. And with their synth dressed credentials, I embraced them… but it turned out to be a false dawn. Luckily though, just as The L-Word Foursome started disassociating themselves from the whole synthpop thing, MIRRORS, HURTS, VILLA NAH and VILE ELECTRODES emerged and sat nicely with classic acts such as VISAGE, OMD, HEAVEN 17, ULTRAVOX, THE ART OF NOISE and PROPAGANDA who TEC featured in that first year. What is the main goal that you want to achieve with the website? The Electricity Club is about electronic pop music with roots to Synth Britannia; that was a great BBC documentary about the post-punk UK synth movement. It featured GARY NUMAN, OMD, DEPECHE MODE, THE HUMAN LEAGUE, JOHN FOXX, NEW ORDER, PET SHOP BOYS, SOFT CELL, ULTRAVOX, YAZOO and CABARET VOLTAIRE. However, the site was never just going to be about established acts, it was always the intention to feature newer ones. But the site launch didn’t take place until our interview with Paul Humphreys of OMD was completed, because having that was the best way to get people to look at the site. And it worked, because parts of the interview were later quoted in The Guardian newspaper in their article about OMD’s then new album ‘History Of Modern’. So by attracting people who want to read about the acts they know and love, they might then stick around and have a look at the new artists featured who have been seeded from those same electronic pioneers. The act I have been most proud of featuring in the last five years has been VILE ELECTRODES. Andy McCluskey read about them on TEC and as a result, they ended up supporting OMD on their 2013 German tour and winning awards too. And they recently did a live session for BBC Introducing. It’s a great upward trajectory they are on right now. They’re a fine example as to what can be achieved by an independent synthesizer act in this day and age. Which philosophy does the website follow with writing new reviews, interviews or articles in general? The heart of The Electricity Club is properly written features, not buzz blogging. I don’t like the whole “this is a song, now here’s another…” approach that other websites indulge in. People of a certain adult demographic just haven’t got the time or inclination to go through 10-15 new acts each week; they want to know which band you think is the best and why they should spend money or invest an hour of their time for them. That is why TEC’s articles have easy-to-understand musical references, trivia and critique. It’s my style and always has been since I started writing about music as a student; I think you can tell if I am really into something when you read my text. It’s storytelling, rather than lecturing or trying to be cool. I’ve been told by friends in Europe that my style is easy to understand for people whose first language is not English. If people connect with your ethos and enjoy what you write, then they will trust your opinion and return for more. But you need to maintain quality control. So TEC has to be about what’s good, not what’s going on in The Scene. This is why TEC doesn’t have many news bulletins. If people don’t like what TEC features or its style of referencing, then that’s ok. They can always do their own blog as some have done. That’s great because then there’s another music platform. We have our choices. What do I look for in a new act submission? A good song accompanied by a reasonable video with hopefully two or three other numbers of comparable quality. 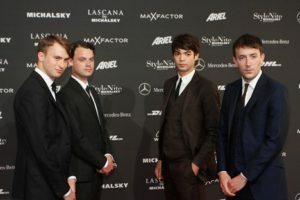 The video is important because it tests the commitment of the artist with regards their visual presentation, as well as their songwriting and production. I come from a generation where videos and sleeve artwork were important; so it’s not just about the music and bands need to be aware that. I probably give a track about twenty seconds! I’m not after a song that I necessarily love on first hearing, it’s more about it being interesting enough to play on to the end and then, listen to again. People have sent me demos that go on for over eight minutes… that’s not a good idea even if it is your art! The most clueless submission was a five song live gig video recorded at a kid’s birthday party and nothing happened for the first minute! I literally get hundreds of emails each month. There are complaints that we don’t reply or give feedback. But if we replied to each one, we would never get any articles done. Just because an act hasn’t been featured on TEC before, it doesn’t mean they won’t be in the future. The best example of that is Glasgow’s ANALOG ANGEL who TEC passed on in 2011. They were quite industrial back then, but changed direction and became more synthpop. So when they released ‘We Won’t Walk Away’ in 2013, I asked them for a video to feature on TEC which they duly presented. Some people do take things rather personally if they’re not featured; one individual shouted abuse at me in a pub before a gig and stormed off, but he then proceeded to lie and tell everyone I was rude to THEM! It’s just not normal! It wasn’t as if TEC had written a negative review… would they rather have that? Because TEC has done a few of those when appropriate as well! But slagging TEC off on social media and to their friends is not the best way to gain favourable attention from us. The thing is, TEC is not the only platform covering electronic music… other blogs ARE available. TEC has existed now for over five years. Has it been lots of fun and an exciting journey when you are looking back at the development of the website and meeting lots of famous people in the electronic scene, since you started the website back in 2010? Two interviews spring to mind as favourites and good examples of TEC’s development. In 2011, I interviewed Stephen Morris from NEW ORDER. I was surprised TEC’s request was accepted, but we had a brilliant 70 minute chat. He said something about “Never say never” when it came to the future of NEW ORDER. 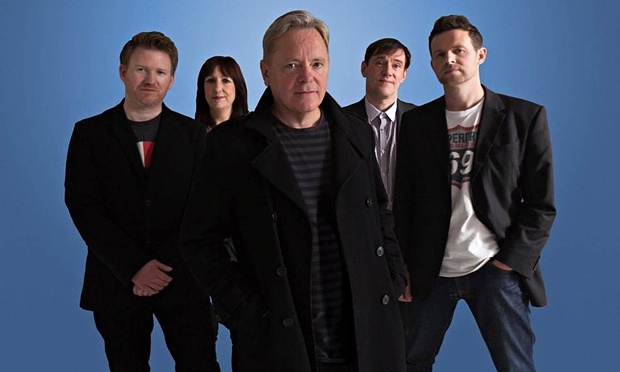 Then a few months later, NEW ORDER announced they were returning, but without Hooky. So TEC was inadvertently part of a subtle promotional campaign to rebuild the band’s profile before the news broke! Our 2013 interview with GARY NUMAN was a significant one. In the past, we would lobby for a major interview, but probably end up NOT getting it, like DURAN DURAN or GRIMES. In 2011, we were only granted a short email Q&A with GARY NUMAN. But in 2013, TEC had built up such a good reputation that Numan’s representatives got in touch and literally said “you’re interviewing GARY NUMAN at 6.00pm on Thursday!” – Numan was great and he wouldn’t stop talking, which was great for the eventual article! Having been invited to meet both KARL BARTOS and WOLFGANG FLÜR, I’ve sort of got nowhere else to go now! It’s not every day you get to be photographed together with two KRAFTWERK legends. Is there anyone else I’d like to meet and interview? I guess JEAN-MICHEL JARRE would be one. And I’ve never met or interviewed VINCE CLARKE either. Has 2015 been a good or disappointing music year? Will we remember this year when we look back in a couple of years with a lots of joy or with big sadness over it? I think 2015 has been good, especially for veteran acts proving they can still do excellent music, be it JEAN-MICHEL JARRE, A-HA, JOHN FOXX or NEW ORDER. Age is not a barrier to creativity, although lack of motivation to challenge oneself artistically in later years might be… 2015 was certainly better than 2012, which I felt was a lacklustre year for electronic pop. The Electricity Club appears to be very critical at times against synthpop legends DEPECHE MODE, why is that? DEPECHE MODE can still do brilliant stuff, my favourite 21st Century songs are ‘Oh Well’, ‘I Feel Loved’, and the TRENTEMØLLER club mix of ‘Wrong’; I think from those three, you can work out how I prefer DM to sound. Yes, Alan Wilder was a sticksman on the ‘Devotional’ tour but he wasn’t a drummer in a John Bonham sense, so he only played what was needed. Herr Eigner on the other hand is a traditional rock drummer, a role that has a very egocentric and bombastic mindset. So he fills every nook and cranny with drums, whether they really ought to be there or not, that’s the difference! Now, did you know that THE HUMAN LEAGUE’s ‘Dare’ has no crash cymbals on it? That’s because the Linn LM1 Drum Computer used did not have enough chip memory to store such a sound. So the restrictions meant they had to be artistically inventive and think out of the box to nurture the dynamics of each song. The most recent example of a no crash cymbal policy has been CHVRCHES ‘The Bones Of What You Believe’. The word is that it’s Dave Gahan who wants it everything to be overtly rockist, but I can’t think of anything more boring! He apparently refuses to sing over exclusively programmed rhythm tracks now. Ironically though, it’s that rigid electronic percussion which helps give those truly great DEPECHE MODE songs that tension and soul. It’s why the tribute band SPEAK & SPELL have their place on the live circuit as a recreation of that three synths and a tape machine era. The strange thing is that I’ve been accused of featuring and referencing DEPECHE MODE too often on TEC. But on the opposite side of the coin, there are people who think I am very negative about DM… neither are true. But do I really enjoy DM gigs in the 21st Century? They have their moments on stage, but the last show I saw at Birmingham NEC in 2014 was terrible! Are you not grateful for all the great music and achievements DEPECHE MODE has done for electronic music in the UK and for the genre in general? I’m an armchair DEPECHE MODE fan from ‘Speak & Spell’ up to ‘Ultra’, as opposed to being a Devotee. My favourite album is ‘Violator’, while I have a lot of affection for ‘A Broken Frame’. I was in my early teens at the height of Synth Britannia, so when SOFT CELL, DEPECHE MODE and DURAN DURAN emerged, it was all very exciting. I’ve been lucky enough to have interviewed Alan Wilder three times now and was honoured that the only interview he granted for the 25th anniversary of ‘101’ was with The Electricity Club. He’s always been very honest and forthright. I remember at the RECOIL film Q&A in London, one girl took exception to his answer to her question about BECK. “YOU ASKED ME FOR MY OPINION!” he retorted. Brilliant! In Sweden, there was a big discussion in many local synth/electronic music communities about the genre’s status. It started because of my discussion event ‘Är Synthen Död?’ (In English: Is The Synth Dead?) which I held in Gothenburg last December. The panel discussed if the genre was still vital and interesting to the youth of today and to old electronic music lovers here in Sweden; or more plainly dead, has no future and will become like Rockabilly music. What are your personal points of view on this subject, when you look at the UK scene? There was a period in the UK when the dance scene and Britpop effectively killed off synthpop; this would have been 1994-1999. I never really liked acid house or club oriented music. Acts like LEFTFIELD, UNDERWORLD, THE CHEMICAL BROTHERS and ORBITAL did great singles, but they weren’t very song based and their albums left me underwhelmed, especially as the tracks often went on for far too long! And I wasn’t into the Industrial duff-duff shouting-in-German thing that was going on in Europe either! But for me, there was a turning point for the synth in an avant pop context, and that came in 2000-2001 with LADYTRON, GOLDFRAPP and CLIENT. Because they had female vocalists, they also gave a fresh slant to the old Synth Britannia template. KYLIE MINOGUE’s ‘Can’t Get You Out Of My Head’ and SUGABABES ‘Freak Like Me’ were also significant; it’s fair to say quite a few people got into GARY NUMAN because of the latter! So synthpop effectively returned, if in a slightly different but still recognisable form. The period helped to shape the sort of music I enjoy listening to now, like MARSHEAUX, KID MOXIE, HANNAH PEEL and GWENNO. Unfortunately, although a lot of music is electronically based now, as PAGE’s Eddie Bengtsson said to me, classic synthpop appears to be a dying art. A friend of mine, who is a video director, received a brief for a “contemporary electropop band”… but they were so contemporary, there was hardly any electropop in their music! The lines are getting too blurred and that’s not a good thing. Like this trio YEARS & YEARS that have been labelled a synthpop act by the mainstream press! Err, no! They are basically BROS with a housey beat! 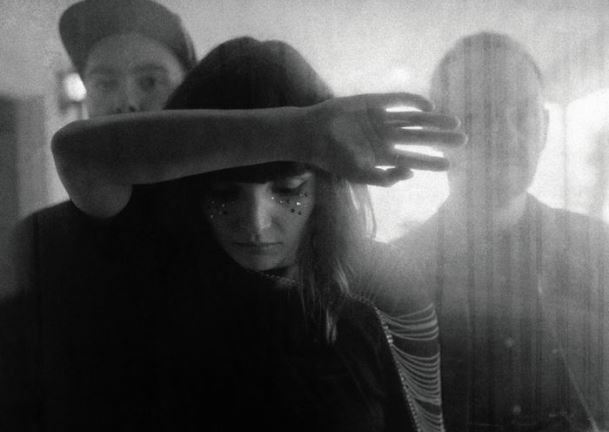 Luckily, the success of CHVRCHES has confirmed there is still an international market for synthpop. They have a broad appeal which connects with people who don’t necessarily know, or want to know, what a Minimoog Voyager is. 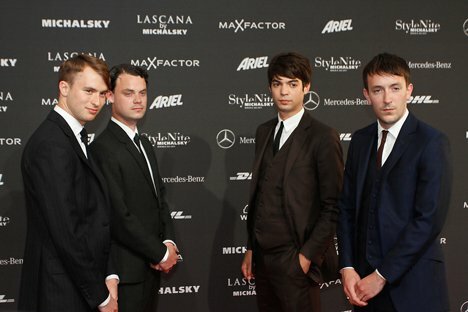 Their songs could be covered by TAYLOR SWIFT and become massive hits. Acts like CHVRCHES are the key to younger musicians being influenced to make electronic pop music in the future. Is the genre dead or alive in UK? Has it a bright future or will genre just have a few followers? Things are quite strange in the UK… synth music is alive but slightly wounded in my opinion. There is also the weird phenomenon of promoters who don’t even really like electronic music, putting on electronic music events. In my opinion, there’s big fish in a small pond syndrome going on, in that there’s a sub-culture of acts who just prop each other up and think just because they get a few plays on an internet radio station, they’re heading for the big time. But they are not as good as they like to think they are. Ok, everyone has to start somewhere and grow, but they need to show some humility and give themselves time to learn their craft. It is important to support bands that are good, not just any band because they are electronic. The trouble is, the entry point to electronic music, podcasting and blogging is very low so if everything is of a mediocre standard, it misrepresents the genre and no-one actually has a quality bar they can work towards. Healthy competition is a good motivator. But when an act appears out of nowhere and has the potential to break into the mainstream like LA ROUX, MIRRORS or CHVRCHES, The Scene doesn’t like it and turns on them. The lack of recognition for MIRRORS still bothers me, I really miss them and it’s a shame that they didn’t stick together having delivered one brilliant album and a bunch of fabulous B-sides. People have caught onto them since retrospectively, but it’s a bit too late and now we’re stuck with average bands that go on and on and on! As far as the UK is concerned, the most promising beacon of light for electronic pop is EAST INDIA YOUTH; he’s a bit like a one-man MIRRORS and it will be interesting to see how he progresses. There’s also RODNEY CROMWELL who is a bit more unorthodox and whose music I like very much. As they’re both solo acts, they can’t split up! Will we see more unusual electronic music countries or trends that will rise and get more attention, instead of the traditional electronic music countries like the UK and Germany? I was thinking about the rising profile over the past few years for electronic music coming from, for example Canada, Australia, South Africa and even from my native country Sweden? My favourite new act at the moment is KITE from Sweden. They have a melancholic, majestic sound that I love. To me, Sweden is the modern hub of electronic pop and has been for several years. When I visited Gothenburg for the 2015 Electronic Summer Festival, I was very impressed by the Swedish passion for electronic music; it appeared a lot more honest than in the UK and I really felt at home. It’s not just Sweden though, the Nordic region has been producing electronic acts of a very high standard, particularly Norway and Finland. VILLA NAH came from Helsinki and although they appear to be no more, they have at least morphed into SIN COS TAN who are really good. North America is proving to be one area of growth for electronic music, with Canada being the most creative with acts like TR/ST, AUSTRA, GRIMES, PURITY RING and ELECTRIC YOUTH; but don’t forget the country has a cult tradition dating back to RATIONAL YOUTH and PSYCHE. The USA has some great acts too like SOFT METALS, NIGHT CLUB, FEATHERS and HYPERBUBBLE. Germany is making a return, although to my ears, much of the new music coming from there is derivative, although of a good standard. But the emergent nation in electronic music appears to be China with FIFI RONG and QUIETER THAN SPIDERS being two of its most notable acts. I am pleased that TEC features acts from all around the world, and does not base itself around a single scene, city or country. What are your expectations and hopes for 2016? Obviously, I hope there is going to be lots of new high quality synthpop in 2016… if there isn’t, then TEC will focus on being more retrospective, like with those career spanning Beginner’s Guides listings which we do and have become quite popular with readers. It’s a way of showcasing how good things have been in the past, so that new acts know what to aspire to. Speaking of whom, OMD have a new album pencilled in. I remember there was great anticipation about the comeback album ‘History Of Modern’ back in 2010, yet it turned out to be a major disappointment. So when it came to ‘English Electric’ in 2013, I expected nothing, but it was their best album for 30 years! I would like there to be another great OMD album, but I will not be too upset if it doesn’t happen. I got the album I’d been waiting for since 1984 with ‘English Electric’, so as far as I am concerned now, OMD have nothing left to prove.